Did you know that simple insulation of your home can save you money in the long run? 50-70% of the energy used in homes is from heating and cooling. So, by stopping the leakage and properly insulating you can use less energy to stay comfortable, which is ideal for you and the environment. Many insulators limit the movement of air while others block the flow of air. Since warm air naturally moves to cool rooms, cold attics and basements could be eating your heating costs. The heat could also be leaking out of door and window frames. Usually you can start with an attic walls. Fiberglass and spray foam insulation are popular choices. The next places you will want to check are the windows in the entire home. Storm windows are double paneled and seal tighter to keep the heat in or out. You can even put reflectors on your roof to keep the radiative heat out in the summer. You may be thinking, where do I get the money to do this? There are many companies that will allow you to make payments so you can start saving on energy right away. See Instructions and apply on the Green Deal website to avoid up-front costs and start improving on your home today. Note: The Green Deal is for the UK only. Factory and industrial work has a long history of chemical exposure concerns, with many health advocacy groups demonstrating that chemical exposure in the workplace may be a common link between many health ailments. In today's workplace environment, technological advancements in reducing indoor chemical pollutants have become increasingly popular and highly innovative. One such a method of reducing chemical exposures and pollutants is through units known as thermal oxidizers, many of which are installed in factories, chemical plants, and other heavily-polluted work environments all over the world. With their highly-effective methods for reducing pollutants in the air, these units may be especially helpful for reducing health risks and environmental concerns. Health websites and news outlets are constantly exulting the benefits of reducing environmental contaminants and pollutants. One can't go to this website or that website without finding some interesting news report on the risks associated with pollutant exposure. Often, the combination of chemical exposures and demanding physical labor can be strenuous on the body, further complicating health risks, concerns, and diseases. Although a thermal oxidizer is by no means a medical device, it is a valuable unit that allows pollutants to be transformed into CO2 and H20 through a process called thermal combustion. Often, a chemical plant will install multiple thermal oxidizers and combustion units throughout their facility. Depending on the size and chemicals used, these units may run throughout every hour of the day. Not only are oxidizers important for keeping workers safe and protected from possible and potential chemical exposure, they can also help to protect the natural environment. Businesses have been constantly becoming more green lately, combining industry know-how with the latest eco-friendly tools to enhance their productivity and image. More often than not, green measures allow companies to generate innovative and creative ideas on how to improve performance without sacrificing the health of other humans or the environment. Without proper measures taken in chemical plants and factories, environmental and health risks are often the first concerns among most individuals and organizations alike. Improving air quality is easier now than it has ever been, especially thanks to creative environmental scientists all over the world. Other measures for controlling toxins, chemicals, and pollutants include VOC-laden air concentrators. These units enable companies to pull in volatile air contaminants and pollutants into themselves. They release natural exhaust as a result, reducing the amount of pollutants in the air and work environment. Visit this website for more info! Recently I had the opportunity to try a Princess Peach costume from Wholesale Halloween Costumes. If you don’t know who Princess Peach is than let me fill you in. She is the Princess of the Mushroom Kingdom. 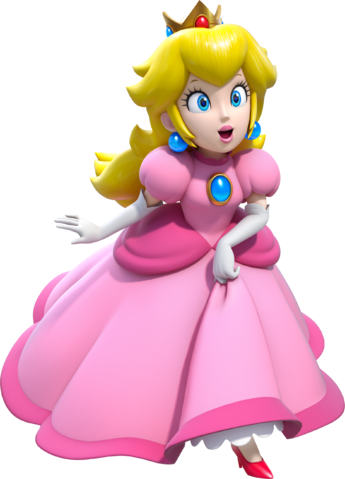 Peach is Mario’s love interest in the series of Nintendo Mario games. The typical story is the Villain (Bowser) attacking and the Hero (Mario) saving the Princess! Princess Peach was a favorite of mine while growing up and playing Super Mario Games.